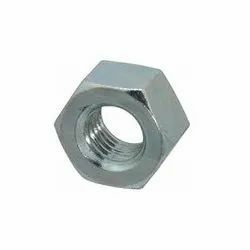 We are instrumental in providing an extensive rage of Hot Dip Bolts Nuts Washers, which is made using premium quality raw material. Our range complies with the norms and regulations of the industry and caters to the needs of Transmission Lines, automotive and construction industries. Size: M 6 to M 100 / 1/4" to 4"
We offer to our clients superior range of GI bold nut, industrial metal bolts and studs. They are manufactured using stainless steel of different grades including 304, 202 and 316. We have the facility to custom manufacture them on the basis of material and dimensional choice. Due to the support of our dedicated team of professionals, our company is bringing forth a customized assortment of Hot Dip Galvanized Nut. Our Hot Dip Galvanized Nut is known for its premium quality and defect free nature. Moreover, we test these nuts at many stages in order to assure its quality. 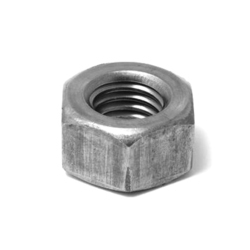 We are trader and supplier of a wide range of Hot Dip Galvanized Nuts that are iron or steel coated, ensuring optimum resistance to corrosion and abrasion. Iron and steel coating on these products make them highly durable and long lasting. Used for Structural purpose . Galvanised bolts don't catch rust very easily .